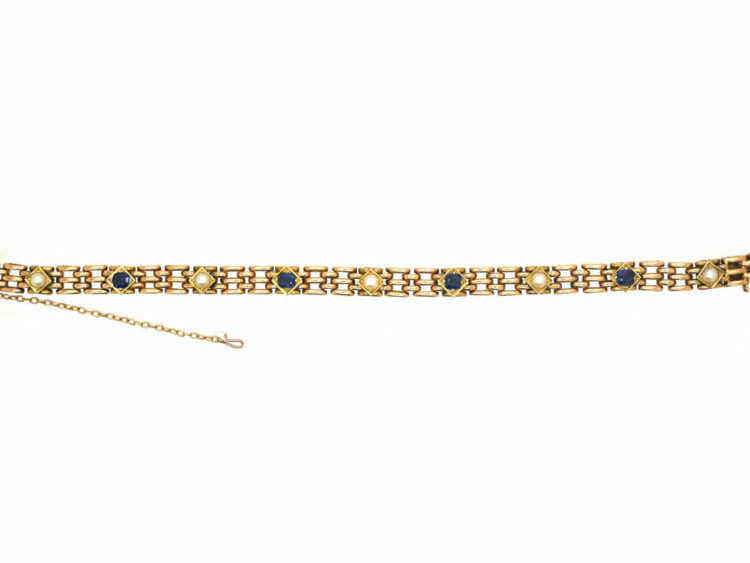 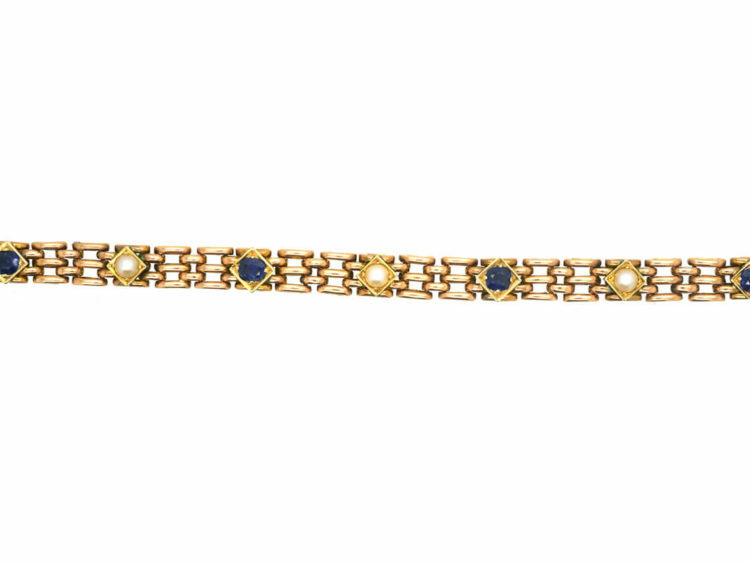 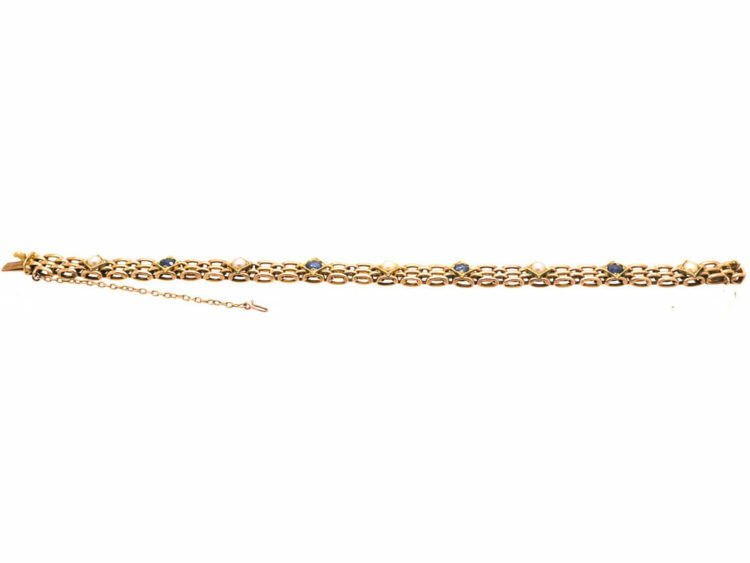 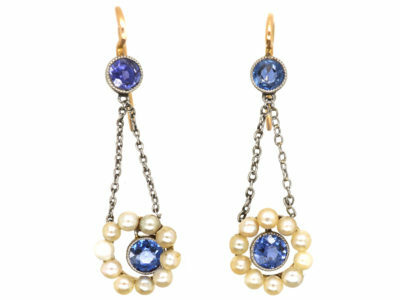 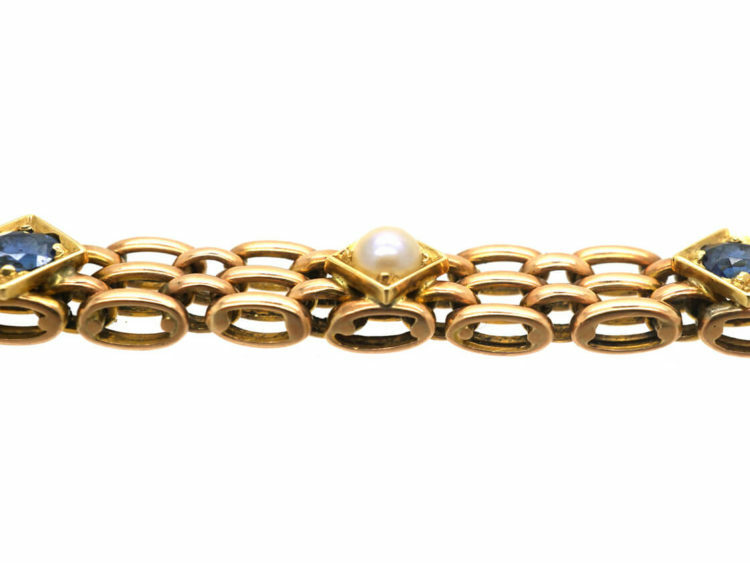 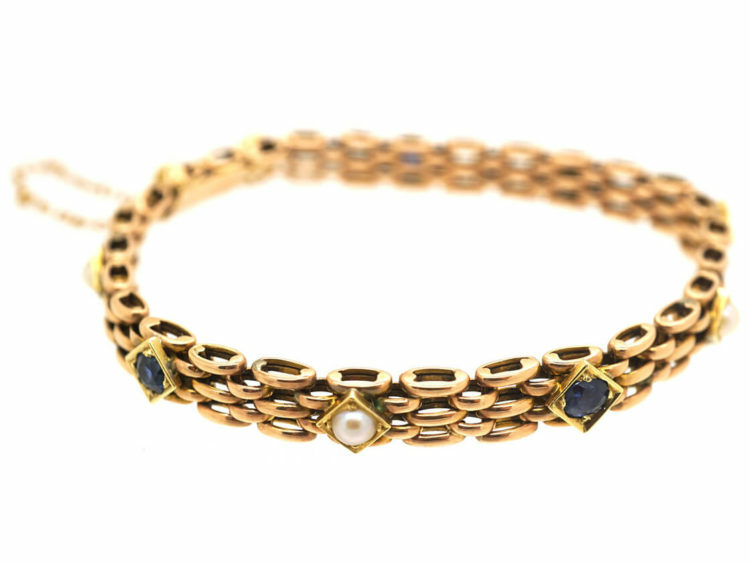 A beautiful and smart 15ct gold bracelet set with four well matched sapphires interspersed with five natural split pearls. 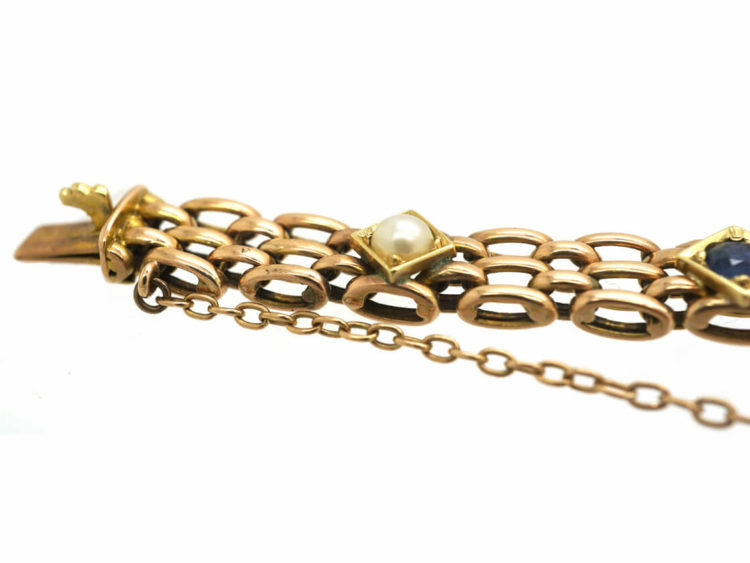 It has been really well made with articulated links. 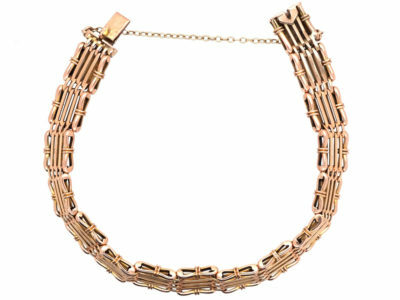 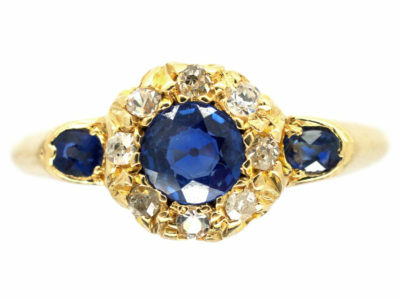 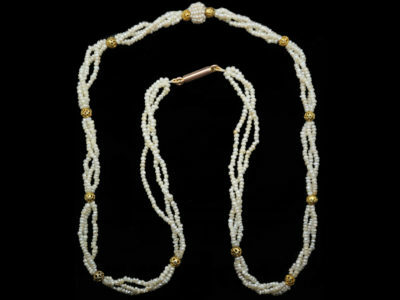 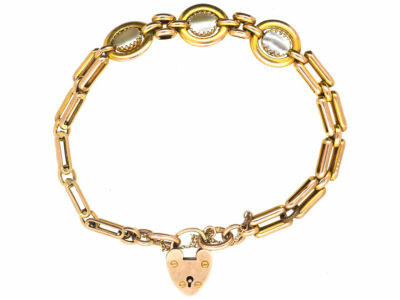 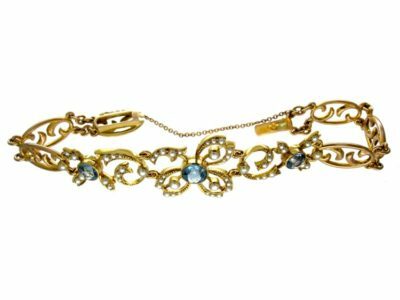 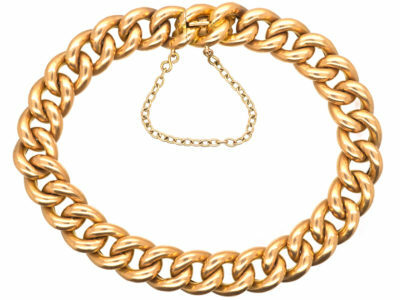 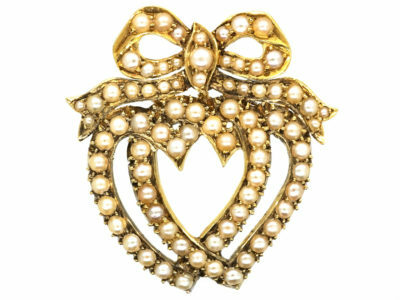 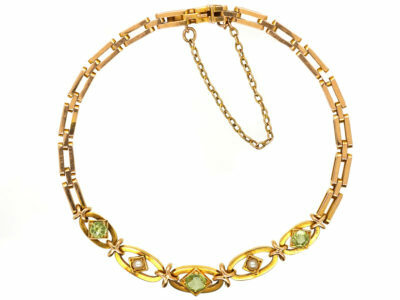 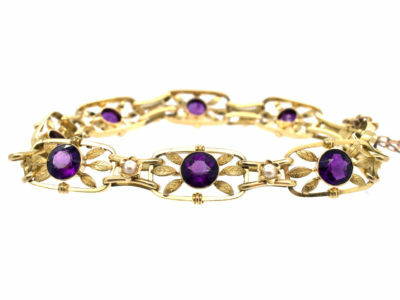 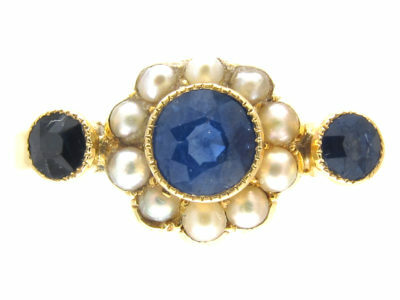 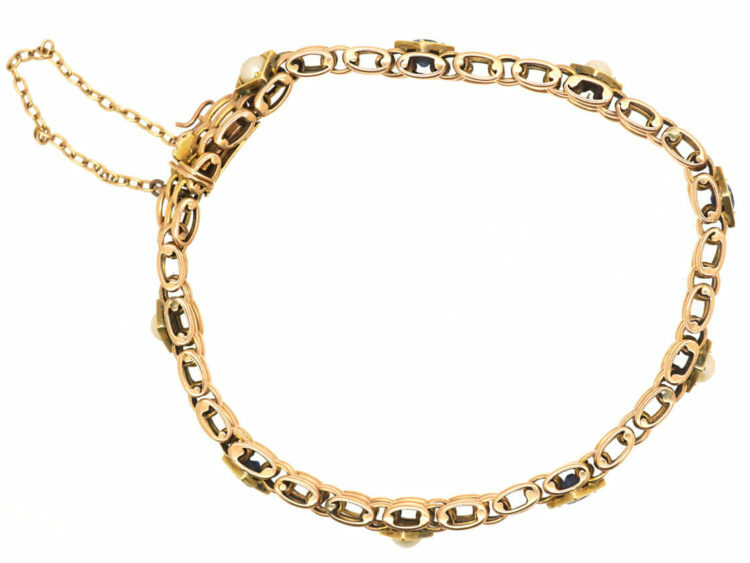 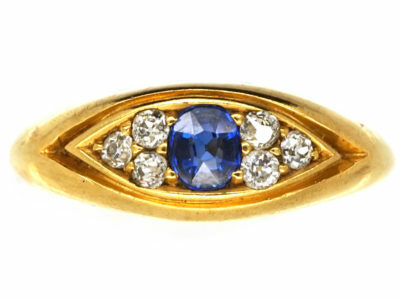 This style of bracelet was very popular in the early 1900s and still looks as good when worn with todays fashions.